You have questions about offset printing and promotional materials? • The brochure is a leaflet designed to advertise the product range of companies and merchants. • Can be printed on paper from 70 to 350 g / m2 with the possibility of inserting an overprint, UV lacquer (whole or partial), matte, glossy or spectacular laminate. • Sewing - from 1 to 4 staples. • The format is unlimited: A6, A5, 1/3 A4, A4, A3 and others. 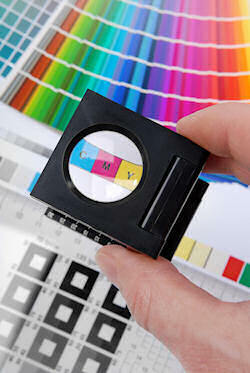 • CMYK printing - single color or full color, as well as additional Pantone colors. • The client may order a cover sheet to be added to the brochure. • We also offer photo services and design of catalogs. • Calendars of 3 to 13 sheets , including cover and pad - spiral and hang hooks. • The most commonly used paper is chrome, matte or glossy, for the calendar - 170, 200, 250 g / m2 for the covers - 300, 350 g / m2 and for the substrate - 250, 350 g / m2. • Full color printing with optional Pantone colors. • Additionally possible: full or partial UV varnish, laminate - gloss or matt, embossing and hot stamping. • Made of cellulose fiberboard or chrome cardboard in a variety of sizes. • A wide variety of luxury cardboards. • Ability to UV varnish, lamination, bending, folding and various forms of punching. • Rich selection of fancy papers. • Possibility for complete or selective UV varnish, laminate, etc. • Ability to produce three-wall, four-wall and five-wall pyramids. • Ability to make a punch tool according to the client's order, as well as to apply a complete or partial UV lacquer or laminate. • Full color CMYK printing with optional Pantone colors. • Ability to make different types of desktop: desktop, clipboard and tripod. • Print - single color or full-range color (optional Pantone colors). • The most commonly used paper is an offset from 70 g / m2 to 120 g / m2. Additionally, they can be perforated (microperforation) to allow tearing of the sheets. The fastening can be either gouging or spiral. • Standard sizes and available dies for the substrate. • Print head and pad are with your own design. • Several types of items (semi-manufactured) in stock every year during the calendar campaign. • Possibility of inserting a window. • We produce a wide range of boxes for different purposes. From luxury boxes for the cosmetic industry to non-standard products with specific purpose and ordinary transport packages. • A wide variety of luxury, wrapping and cellulose cartons. • Opportunity for in-sheet window made of astrolon, UV varnishing, lamination, hot stamping and embossing. • Different format (eg A3 folded to A4, A4 with one fold to A5 or 2 folds to 1/3 A4), paper weight, number of folds, and finishing processes. • Print - full-color on CMM or Pantone color, with UV or UV varnish, as well as laminate - gloss or matt. • Possibility to apply full or selective UV varnish, laminate, hot stamping and embossing. •	Variety of standard A4 sizes. •	A wide variety of luxury cardboards. •	Possibility to attach the cover by heat-sealing or stapling with staples. Literature, reference books, academic books, textbooks, children's books, scientific literature, medical, professional, educational and other works of any kind - you can always rely on consistently high quality and good prices. •	Design according to customer's design. •	CMYK or optional Pantone colors. •	Customers can produce cubes boxes. •	Full color CMYK printing with optional Pantone colors. •	Every business nowadays needs a high quality performance. The first impression is very important and the basis for further relationships. Business cards are part of your company's vision and as such are important to be stylish, well-printed, legible and memorable. With us you can make any non-standard paper products. Stamped Products, Promotional Materials for Hypermarkets, Stop Zones, Calendars and much more.